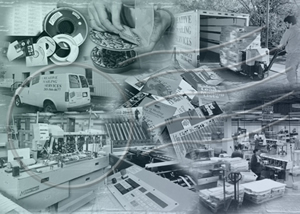 From our modest beginnings as a two-person data processing bureau in 1995, Creative Mailing Services has grown to become Southern Connecticut's premier mailing and fulfillment services company. inserting to laser personalization and everything in-between. We are your direct mail specialists! Our Mail-Shop software integrates all the various elements and activities of our daily operations giving us real-time access to estimating, job orders, change orders, invoices, scheduling, inventory and numerous reports. Having all this information a keystroke away means faster and more accurate responses to our client's inquiries. From planning, printing and processing to post office, mailing is what CMS does best. Our commitment to being the best is demonstrated every day through consistent, reliable and on-time delivery of our services. Greetings from Creative Mailing Services! We haved moved to our new location in Shelton CT.